People all around the world become more mobile every day. The mobile phone was the invention that started this massive change in behavior. Today we don’t only bring our telephones, but also game consoles, music and video players and computers have become mobile. We work, communicate and enjoy ourselves everywhere. 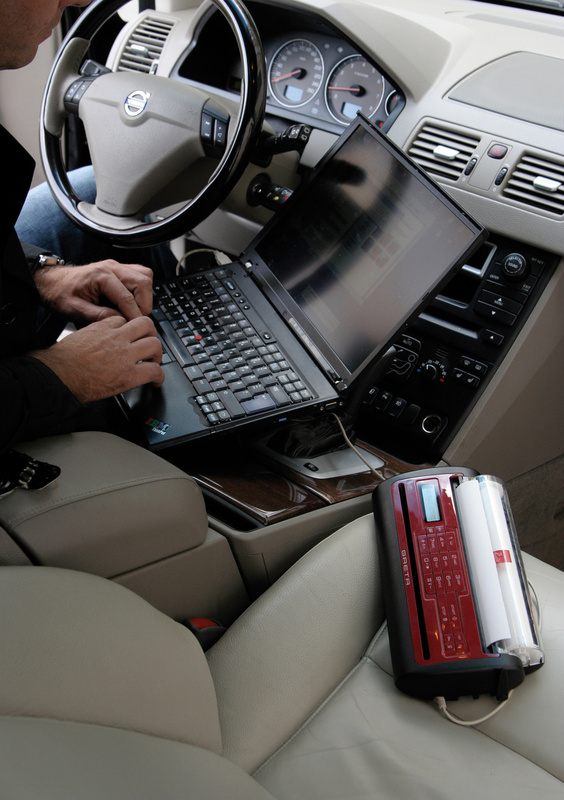 Modern wireless technologies and devices have enabled professionals to bring their offices with them at home, in vehicles, in airports, restaurants and hotels. GRETA turns these offices real since she is a mobile printer, copier, scanner, fax and phone. 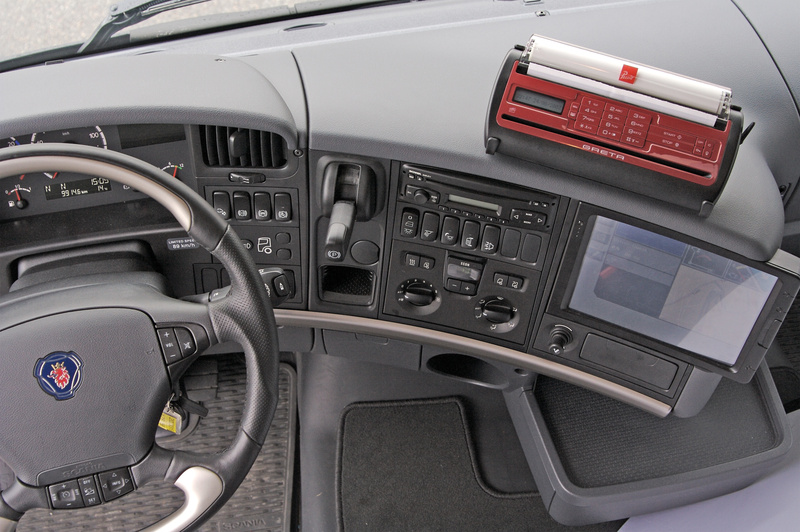 Drivers of trucks and other professional vehicles are increasingly using computers either built in to the vehicle or carried by the driver. The use of the computers vary a lot but is typically a combination of specific applications for the company or industry and generic things like access to Internet and e-mail. And beyond the professional use most drivers use the computer also for personal matters and entertainment. 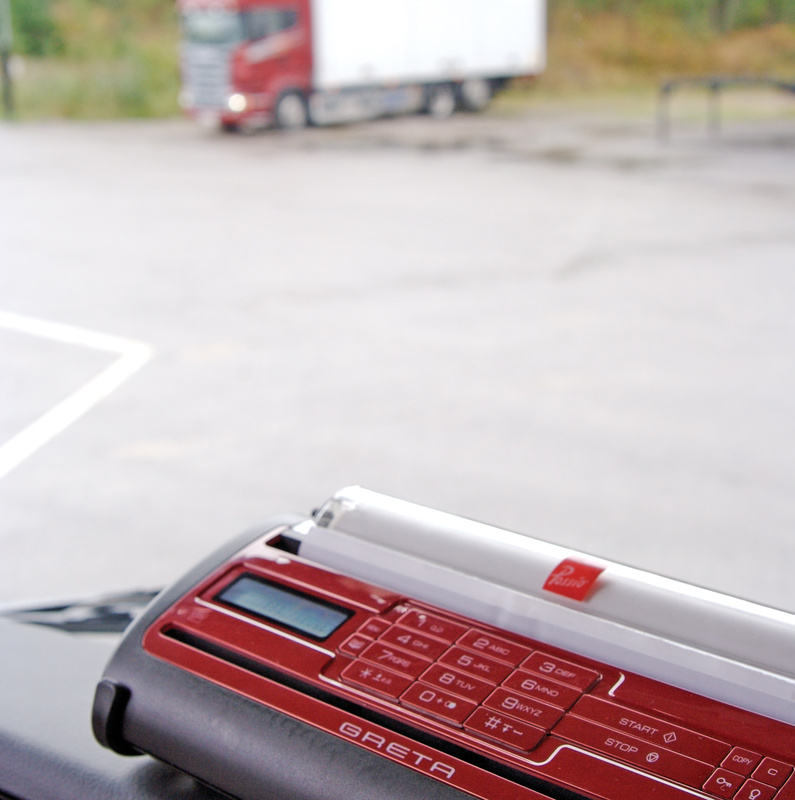 GRETA is designed to turn these vehicle computers into small vehicle offices. 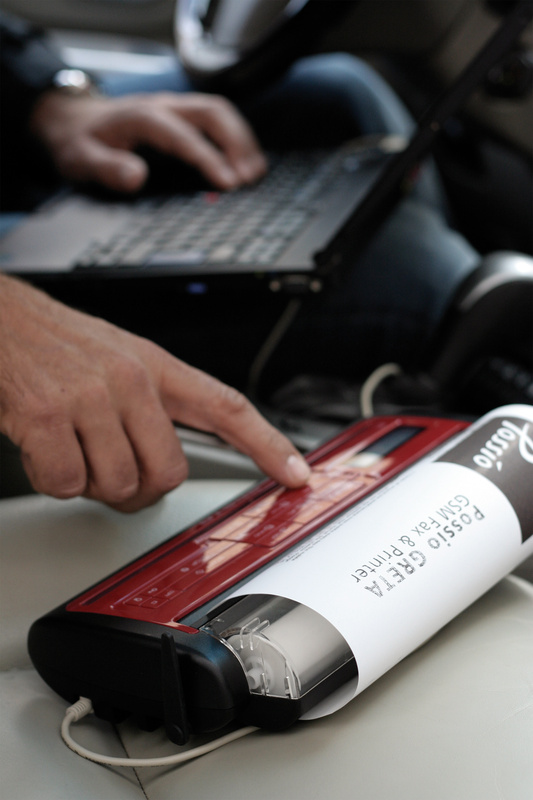 Printing is available by simply connecting GRETA via an USB cable to the computer. And like in all offices the other typical All-in-One functions scanning, faxing and copying are neat to have available. 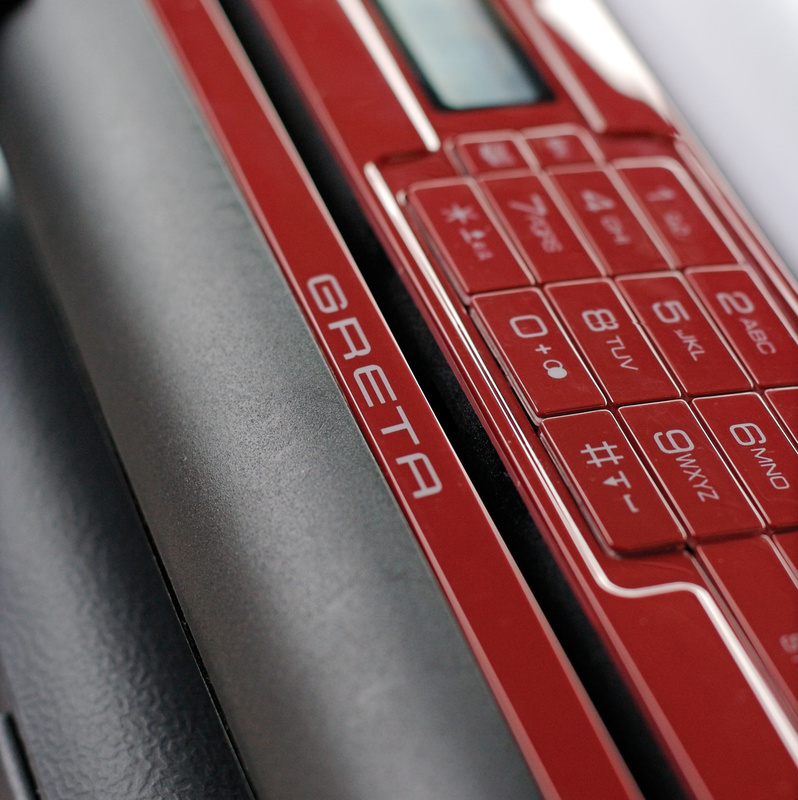 But GRETA is also a phone which clearly makes her different to all other multi-function printers. Sales representatives and service engineers have always been working on their own going by car from customer to customer. But many other professionals spend most of their time on the road as well. And in order to increase efficiency and customer satisfaction and save expensive office floor, companies are putting more and more people on the road. These so called road warriors have increasingly computers to use enterprise applications, to communicate internally and externally and to access Internet. GRETA complete the mobile office for the road warrior and when the day is over, they just bring their laptop and GRETA home or to their hotel. Executives and other decision makers often ends up in situations where a quick decision rapidly communicated makes the difference between failure and success. GRETA is the perfect device to have available in such situations. “I just need to send a fax now”, “I need to print this letter”, “I need a copy of the confirmation”, etc. It’s a good idea to have a GRETA in the Executive Limo, in the conference center, in the boat, in the cabin, on vacation or in the car.